For more information on the side effects of Actos and ongoing litigation, please visit ActosCancer.com. The actions followed a study by the French Medicines Agency of 155,000 diabetes patients taking the drug over a four year period, which found a potential increase of 40 percent in bladder cancer. Less than a year after the FDA issued health warnings about the popular diabetes drug Actos and regulators in France and Germany banned it from the market, a new lawsuit claims that executives of maker Takeda Pharmaceuticals also tried to influence and hide negative data. A former medical reviewer for Takeda Pharmaceutical has filed a False Claims Act lawsuit claiming the pharmaceutical giant failed to report health risks to regulators and directed reviewers to "change their professional opinion" over health concerns of their diabetes drug Actos. Helen Ge, the plaintiff named in the civil suit, asserts the drug manufacturer wanted to blunt findings which demonstrated the drug exacerbated heart failure. According to her lawsuit, Ge was terminated after raising concerns over the practice with executives. The case, which was unsealed by the U.S. Justice Department on February 22, is U.S. ex rel. Helen Ge v. Takeda Pharmaceutical Co., 10-cv-11043, U.S. District Court, District of Massachusetts (Boston). 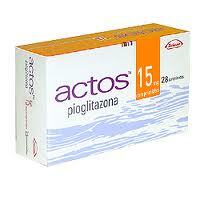 After rival drug Avandia was restricted in 2006, Actos became one of the most popular treatments for type II diabetes. However, it has been under fire lately following studies linking the drug to bladder cancer. On June 15, 2011, the FDA issued a warning to patients taking the drug about a possible risk, while regulators in Europe have taken it off the market. The Actos Resource Center has received hundreds of inquires from people concerned over their legal rights after taking the drug and being diagnosed with bladder cancer. Although Actos was approved by the FDA in 1999, the federal regulatory control agency issued a warning on June 15, 2011 that type 2 diabetes patients taking it for more than twelve months increase their risk of bladder cancer. Actos had become an alternative to Avandia after studies linked the rival medication to heart problems. Though the popular glucose control drug is still sold in the United States, two European countries, France and Germany, have banned sales of the medication, according to a June 10, 2011 article in CBS News. Currently, two pharmaceuticals manufacturers, Takeda and Eli Lilly, might be named in as many as 10,000 civil suits by plaintiffs diagnosed with bladder after taking Actos, Bloomberg reports in an article published on December 1, 2011. On February 21, 2012, Actos’s manufacturer, Takeda Pharmaceuticals released a public statement which read, “Takeda is confident in the therapeutic benefits of Actos and its importance as a treatment for type 2 diabetes. As a science and evidence-based company, Takeda firmly stands behind the substantial data available confirming the positive risk/benefit profile of Actos, which includes twelve years of clinical and patient experience with the product." To learn more about Actos’s side effects, FDA warnings issued about the drug and legal options or for assistance filing an actos lawsuit, please visit ActosCancer.com.